Not certain if your messages are being heard and seen? 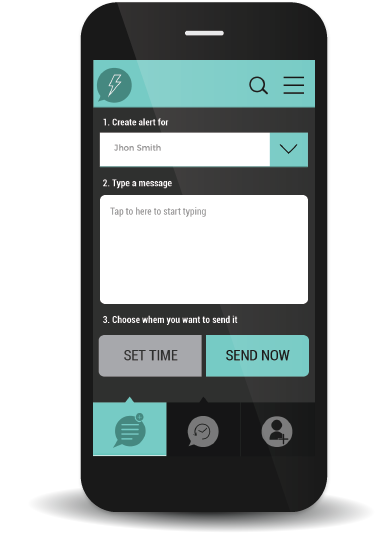 RespondASAP® (previously known as ReplyASAP) allows you to send messages to people you've connected with via the App. The message will appear on their phone over what ever they are doing, and make a noise until they interact with it, even if the phone is on silent. You will then get notification that it has been read. Connect to, up to, 10 people for a one-off discounted cost and be able to send messages to all of them and, optionally, receive messages from all of them, ideal if you want to connect to an extended family or friends. Connect to, up to, 20 people for a one-off discounted cost. 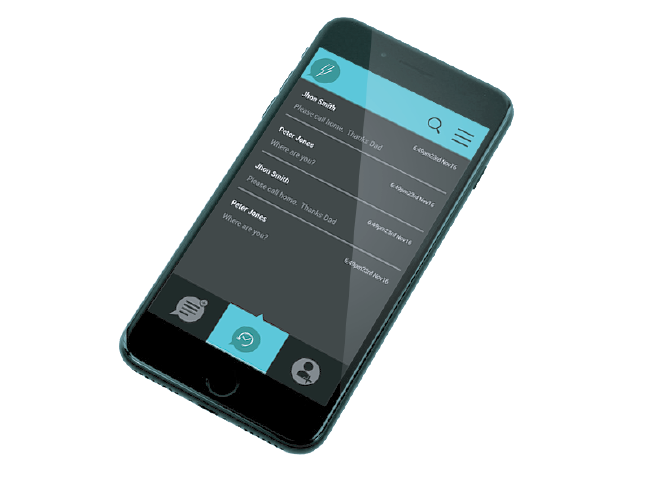 This would be ideal for people with large contact lists or companies wanting to use RespondASAP® to send alerts to employees. You can always buy additional bundles to grow the contact list. This app was born out of personal frustrations with current messaging apps. I have a son, Ben, who is at secondary school. When he started secondary school I bought him a smart phone so that I could contact him and he could contact me (obviously not while at school). However, what I thought was a solution turned into a different problem. Because the phone was 'smart', he could play games and watch videos on it. So invariably he keeps his phone on silent so I wouldn't know. As such when I try and contact him he rarely answers, either because he doesn't hear the phone, or because (and I've finally had to admit this to myself) he may be embarrassed to speak to his Dad in front of his friends. There are times that I need to get a message to him and he has no way of knowing that the call or text he ignores / doesn't see is important or not, and I have no way of knowing if he has seen it (and I mean really seen it and not just moved it so he can get on with his game). There are messaging apps that tell you when a message is delivered and seen, but the point is the message can be ignored or not seen because he didn't hear it. So, RespondASAP®, is my solution to this problem. During the development process I spoke to Ben and showed him the designs and thinking behind the app and he likes the idea because he will know that if he gets one of these messages then he will always hear it and will know its important. He will also have the ability to send me these messages - so there is a mutual understanding that using RespondASAP® is only for important things and not because he needs new batteries for his xbox controller. When speaking to my friends they could all see other 'grown up' uses for the app because the majority of them kept their phones on silent most of the time too. Their suggestions ranged from changing your order when your friend is getting the drinks in at the bar, to finding your phone when you've misplaced it at home, to work situations when you need to get hold of work colleagues quickly. However you want to use the app, I hope you enjoy it, use it responsibly and not while driving (you can tell I'm a parent) and can finally get hold of that person who always has their phone on silent. Can I only send ASAPs to people who have downloaded the app? Yes, you must have either paid to add the person you want to send an ASAP to or they must have paid to add you and both of you need to have the RespondASAP® app downloaded. How many people can I add to send ASAPs to? Does it cost me to send an ASAP? There is no cost for the message itself, however it is sent and recieved using your data allowance or wifi. Will the ASAP make a noise even if the recipients phone is on silent? How can I stop an ASAP making a noise on my phone? RespondASAP® is designed to be an system for sending important messages and not replace texting or other messaging apps, as such the arriving ASAP will always make a noise and interrupt what ever the phone is being used for. Yes, all the personal information and the messages you type are encrypted. Can I send an ASAP to a different country or time zone? Yes you can. If the recipient is in a different time zone you need to base the arrival time of the ASAP on the time there. For example, if it is 1pm where you are and you are sending to someone who is 3 hours ahead and you want the ASAP to arrive immediately, you need to change the arrival time to 4pm on your phone (the current time where the recipient is) before you send. Will the ASAP arrive even if the phone is off? No, if the phone is off then it cannot receive the ASAP, however it will arrive as soon as the phone is switched on. As a sender will I know if the ASAP has been seen? Yes, your app will show you the status of the message, either pending delivery or read. You will also get a push notification to confirm that it has been read. How will the other person know I've added them? When you have paid to add a recipient, you can select who you want that recipient to be, either from your contact list or you can add them manually. That person will then get a text saying you have gifted them the app, and the message will contain a link for them to download the app. Once they have downloaded it they will be able to receive messages from you, and if you gave them permission, they can send ASAPs to you. I already have the app downloaded and someone has gifted it to me will I have to download the app again? No, if you have already downloaded the app, it will know whether you are a sender or receiver and grant you the relevant permissions for each person listed in your app. Can the other person delete the App? Will RespondASAP® work across different mobile device systems? Yes, RespondASAP® works whether you are on the same platform as the recipient or on a different one. Some of the smaller platforms are not currently supported. Will I be able to see the location of the person I send an ASAP to? Yes, as soon as the ASAP is delivered to the recipient’s phone the status in your history screen for that message will change to “Delivered”. At this point a location link will appear, when you click it, you will be able to see where the recipient is providing they have allowed location access for the app. Access to your location, this is used to show the recipient’s location to the sender. We may collect non-personally identifiable information about users when they interact with the app. Non-personally identifiable information includes the usage patterns, device model, application installation information, operating system version, and other similar information. For personalising the user experience. We may use user non-personal information to understand user characteristics and other trends associated with usage. For service improvement. We may use non-personal information to provide, maintain, improve, improve our applications, services and websites, and develop new services. For business development. We may use non-personal information to help promote and develop the market. We only collect limited personal information to allow the app to function - your name and your mobile number. User location is collected as part of the analytics (Google Analytics) on the app, however it is not linked to your name and number. If you would like us to remove your information from our database then please email nick@respondasap.co.uk. We attach great importance to the maintenance of user privacy. Please note that while the security measures we take to protect information are sound and all information is encrypted, it cannot be absolutely guaranteed that the information of the user will not be accessed and used without authorisation. All data is stored within the Amazon Web Services cloud storage solution (https://aws.amazon.com/) on UK based servers. We reserve the right to make final interpretation of these Terms and update them at any time.